Custom descant horn features light, responsive action. 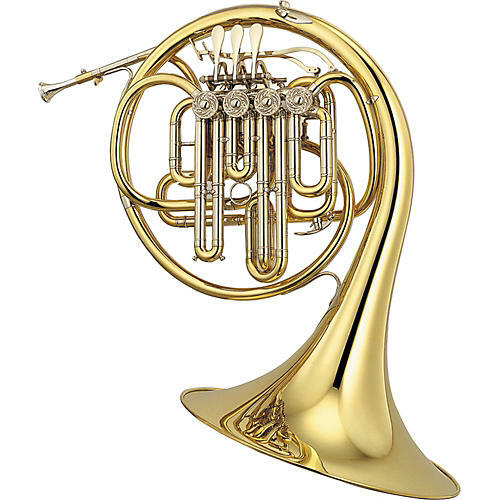 Key of Bb/F alto, .472" bore, 12-1/8" yellow brass bell with medium bell throat, gold brass mouthpipe, 4 solid rotary valves, 5th rotary A/plus stop valve eliminates the need to transpose during stopped passages and puts horn into key of A, nickel silver inner and outer slides, unlacquered brass enhances natural sonic characteristics, engraved valve caps, handmade construction. Includes case, mouthpiece, and premiere rotor oil.